In this fast-paced adventure story, Timothy and Jessamyn are towed through the streets of Manhattan riding in Timothy’s family’s sailboat, on their way to the Long Island shore, when the boat comes unhitched from its truck. The teens “sail” backward down a hill in Upper Manhattan, then fall down a huge construction site hole and into the vast sewer system below. Thrust into an amazing adventure, the kids navigate waterfalls and rapids as they travel through the rain sewers. They meet a graffiti artist their own age, a homeless person named You, and rats the size of large dogs. 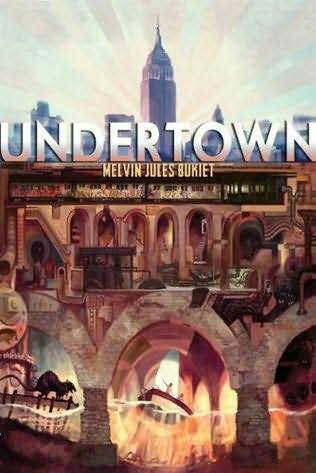 They fall into the hands of a gangster who claims the sewers as her kingdom and the homeless as her subjects, and acts as a fence for luxury goods! Will she feed Timothy and Jessamyn to the rats. A stowaway, a stolen book, a murderous villain: an adventure on the most famous shipwreck in history. The great ocean liner Titanic is preparing to cross the Atlantic. 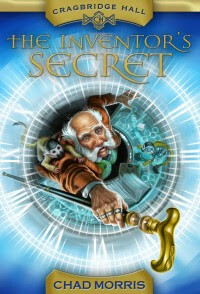 Onboard is a sinister thief bent on stealing a rare book that may be the key to unlocking infinite treasure; a wealthy academic traveling home to America with his rare book collection; and Patrick Waters, a twelve-year-old Irish boy who is certain that his job as a steward on the unsinkable ship will be the adventure of a lifetime. 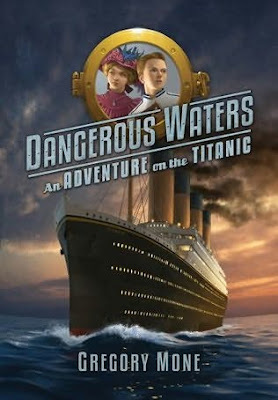 In Dangerous Waters, disguises, capers, and danger abound as the ship makes its way toward that fateful iceberg, where Patrick will have to summon all his wits in order to survive.